Want to help teens discover hope? There's a very good reason why the NCV Youth Bible is the bestselling Bible for teens in the UK. 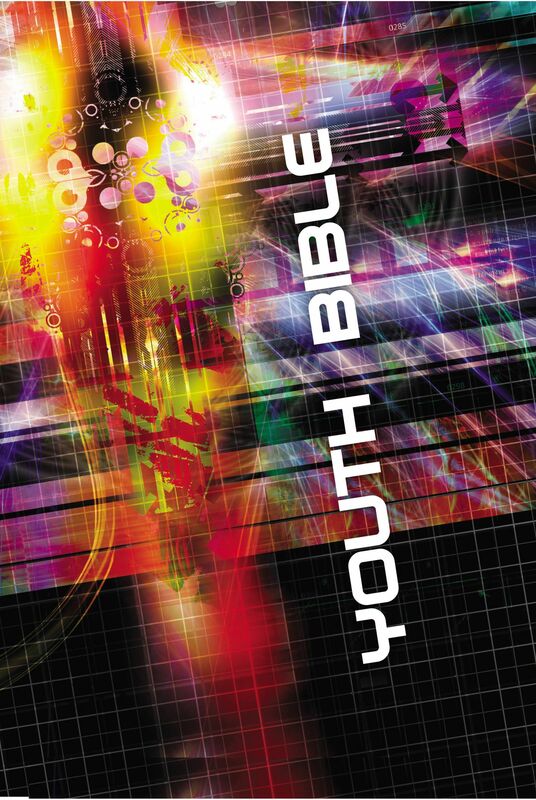 The NCV (New Century Version) Youth Bible gives your teens a directly relevant modern English translation Bible. Plus, over 470 real life stories and hundreds of background Bible facts that connect with the hearts and minds of teenagers in schools, colleges, universities, home and church. In addition, there are more than 50 maps and diagrams throughout the NCV Bible text to explain how, where, when and why all the world-changing events in the Bible took place. First released in 1993 this anglicised Youth Bible is carefully created to enable your teenagers to get to grips with the Word of God in words and language that's easy to read and understand. The NCV provides early to mid teens with an invaluable resource for young Christians in the 21st Century. This high-impact edition also gives you a Bible dictionary and an easy to navigate topical concordance, making themes, events, people and subjects easy to find. NCV Sunburst Youth Bible by Thomas Nelson was published by Thomas Nelson in September 2010 and is our 128th best seller. 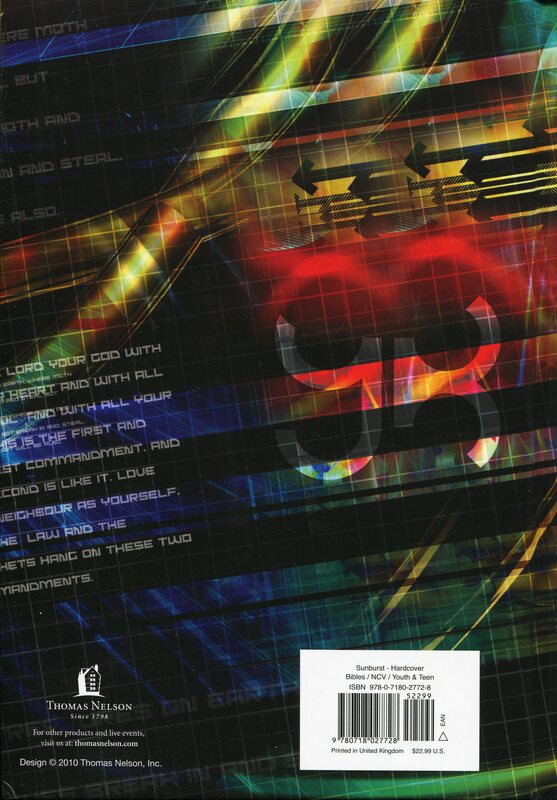 The ISBN for NCV Sunburst Youth Bible is 9780718027728. Buy these bibles for kids in our church going to secondary schoo. The are great for teenagers with easy to understand text and extras like devotionals and sidelights..would definitely recommend it. Take a peek at some articles related to NCV Sunburst Youth Bible. Got a question? No problem! Just click here to ask us about NCV Sunburst Youth Bible. A:Unfortunately, we do not have any large print editions of the NCV Bible. Thank you for using the Q&A Forum. A:This Bible addresses a few issues that may not be wholly relevant for ages 10-11. The ICB Gift and Award Bibles, however, are tailored towards 10-12 year olds: - http://www.eden.co.uk/shop/icb-gift-award-bible-boys-pb-4070998.html - http://www.eden.co.uk/shop/icb-gift-award-bible-girls-pb-4070997.html Thank you for using the Q&A Forum. I am looking to get a Youth Bible for the older members of our Sunday School group and I'm wondering what the difference is between the Sunburst NCV Youth Bible and the Purple NCV Youth Bible? Is it just their covers? or do they have different content as well? Many thanks for your help. A:The only difference between the two Bibles are the covers which were made to appeal to different tastes. As a Bible for teens, these ones are incredibly effective though the extra features which help to show the Bible is applicable to life and all its road-bumps. Thank you for using the Q&A Forum. Does this have the Old and New Testaments? A:Yes, this is a full Bible, and features the Old and New Testaments. Is the NCV Youth Bible suitable for 14 year old boy? A:The Youth Bible is an excellent resource for teenagers and features relevant stories and reflections from today's youth. The NCV translation is helpful and easy to understand and would certainly be suitable for a 14 year old boy. Please can you tell us the font size of this Bible? A:The print size for the NCV Youth Bible is 10 point, which is larger than the majority of youth Bibles. The New Century Youth Bible, first published in 1993, has consistently been among the top three bestselling Bibles in the UK. This revised edition brings the Youth Bible right up-to-date for the twenty-first century. Whilst retaining the original Anglicized text, this revised edition has over 25 of its Life Files replaced or updated. There are also new categories on subjects such as music, euthanasia and the environment. "Bought this version as it was the most popular one recommended by the Church youth group. Contemporary and easy to read, with lots of great explanatory notes and 'extra' bits to help young people relate the word to school, home, relationship issues etc. I'd happily recommend it to any child from around the age of 11 years, through the teen years and beyond. Boys might prefer the alternative colour cover design." The New Century Version (NCV) is an English translation of the Bible related to the Easy-to-Read Version (ERV) but having longer sentences and a more fluent style. The two overarching principles of the NCV are that it needs to be both accurate and clear. The translation team of 50 Bible scholars and translators included people with translation experience from the New International Version, the New American Standard Bible and the New King James Version. The NCV uses contemporary references for measurements and geographical locations and an English vocabulary based on The Living Word Vocabulary - the standard used by the editors of The World Book Encyclopedia.